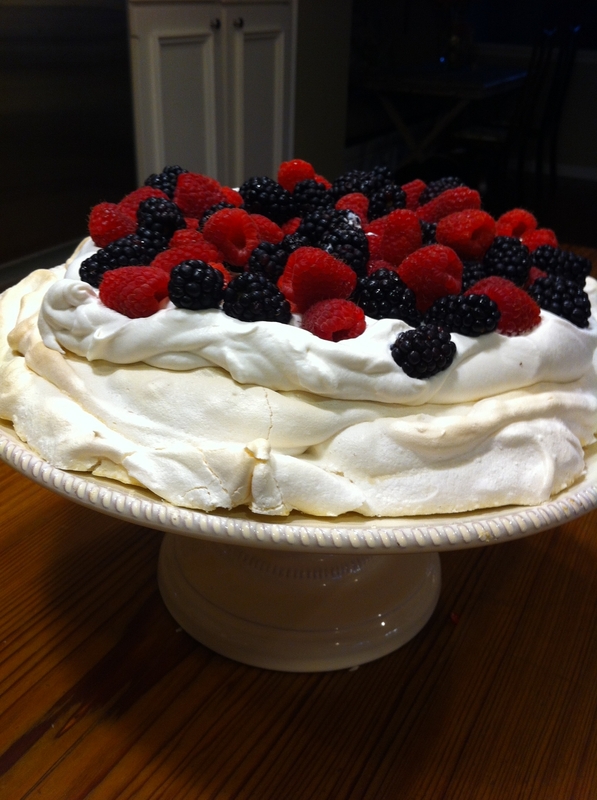 I love a pavlova for dessert in the summer time. It's light and perfect when berries are in season. 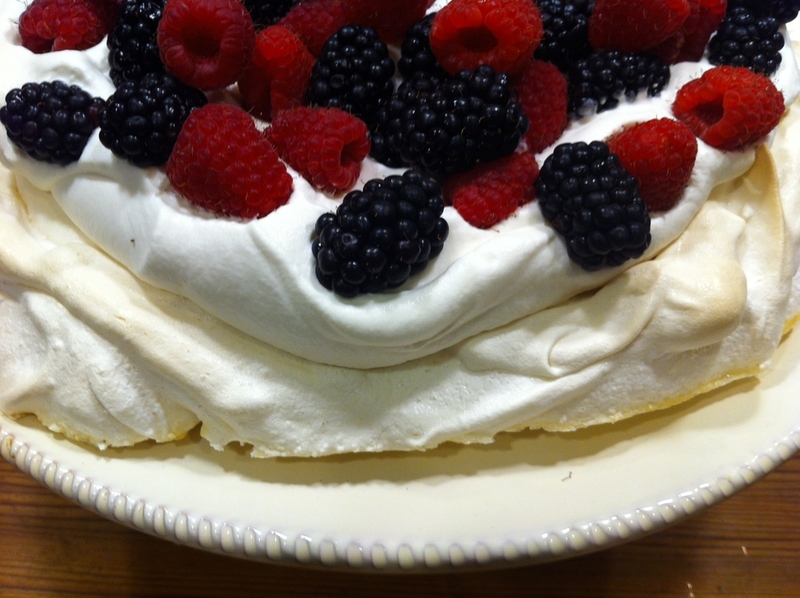 A pavlova is just a fancy name for a meringue and it's really easy to make. You probably have most of the ingredients on hand right now. Start by separating 5 room temperature eggs. In the bowl of your mixer, add the egg whites, cream of tartar and a pinch of salt and beat until the whites start to get foamy. Now add the sugar, corn starch, raspberry vinegar, and vanilla and continue beating until stiff and glossy. This is when I decide how I'm going to serve it. 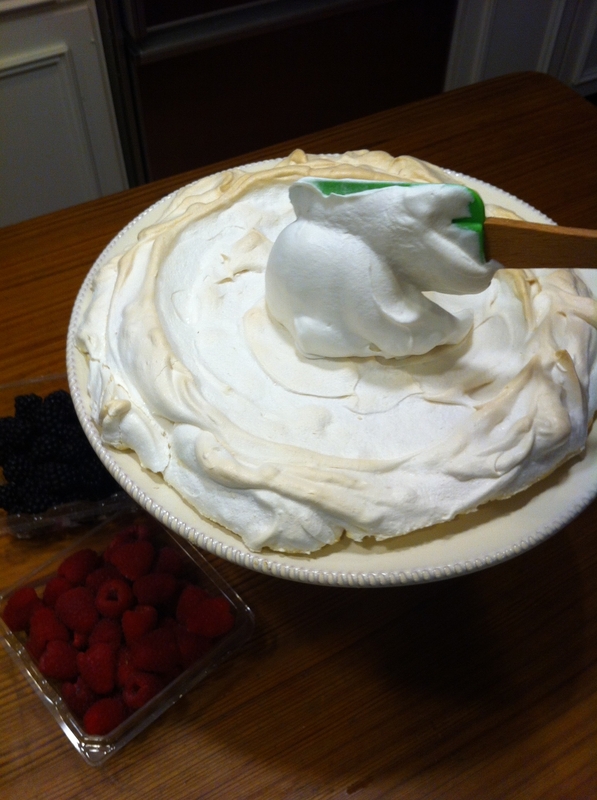 You can make individual servings or 1 big meringue. Today I'm making it for a friend's birthday, so I got out the cake stand I want to serve it on to use as a template. On a piece of parchment paper, trace around the cake stand. 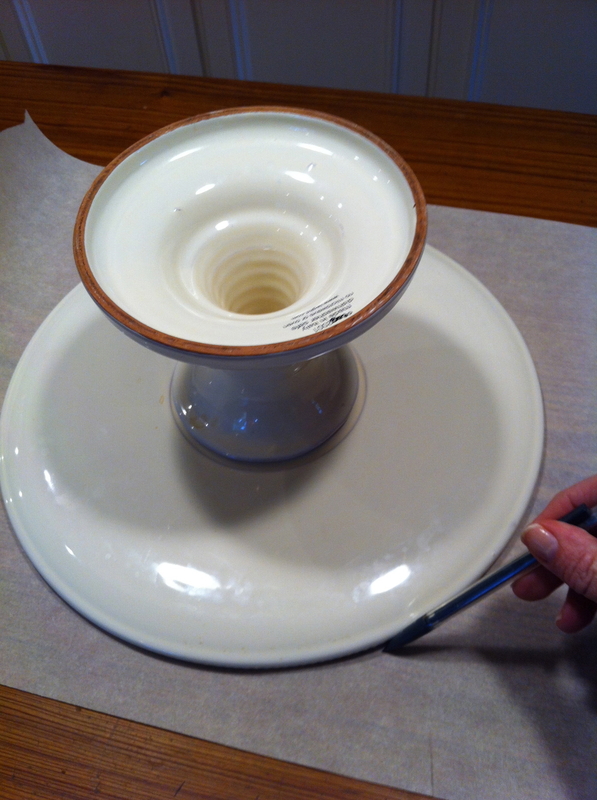 Turn the parchment over and you will be able to see the circle through the paper. 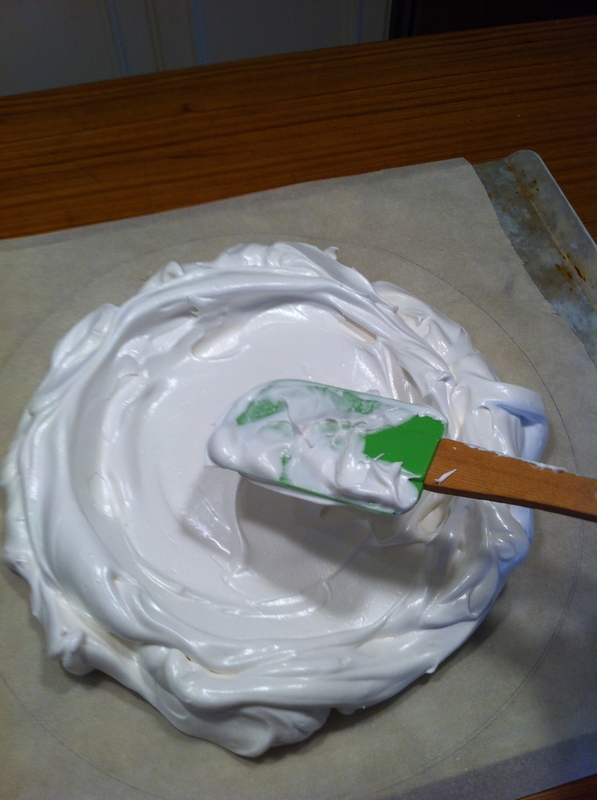 Now spread the meringue to about an inch from the outside of the circle. I use a spatula and make the edges slightly higher than the middle so the the topping will stay on later. This is rustic so don't try to make it perfect. Put the meringue in a 350 degree oven for 10 minutes then lower the temperature to 300 for another 35-45 minutes. You want it to be slightly brown and a little cracked on the surface. Turn off the oven and leave the door slightly ajar and let the meringue come to room temperature. 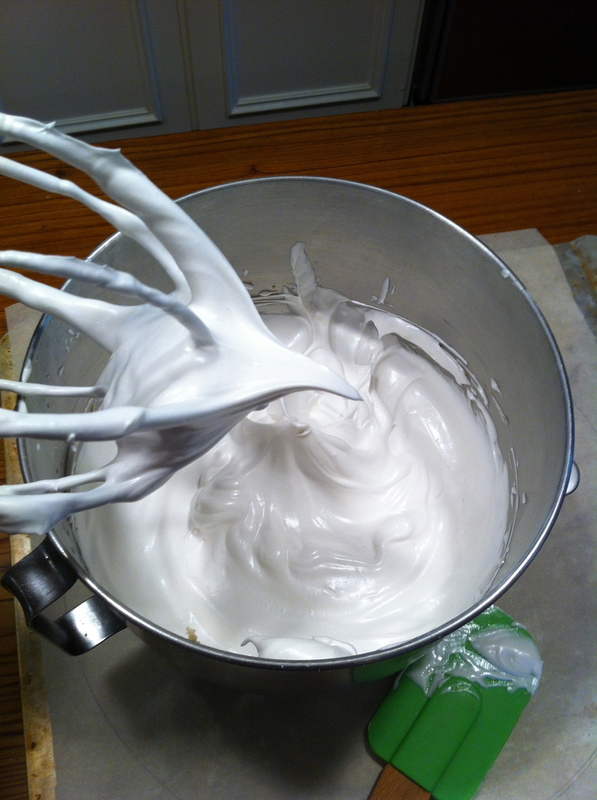 At this point, the meringue can be set aside until just before you're ready to serve it. 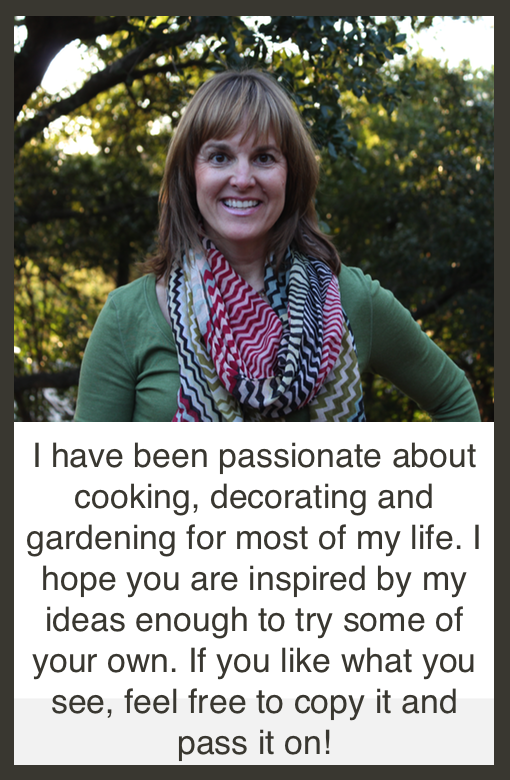 I usually just leave it in my oven if I don't need the oven for anything else. About 30 minutes before you want to serve the pavlova, whip the cream, brown sugar and vanilla together until soft peaks form. 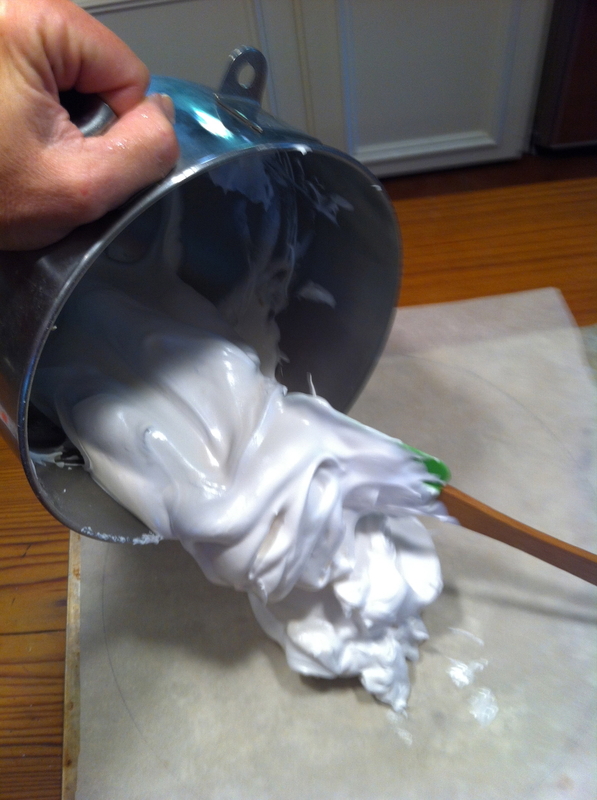 Spoon this mixture onto the center of the meringue to about an inch from the edge and top with your favorite berries. Pretty right? It's really delicious too! Posted in In The Kitchen and tagged with pavlova, meringue. August 23, 2012 by Lynn Adams.